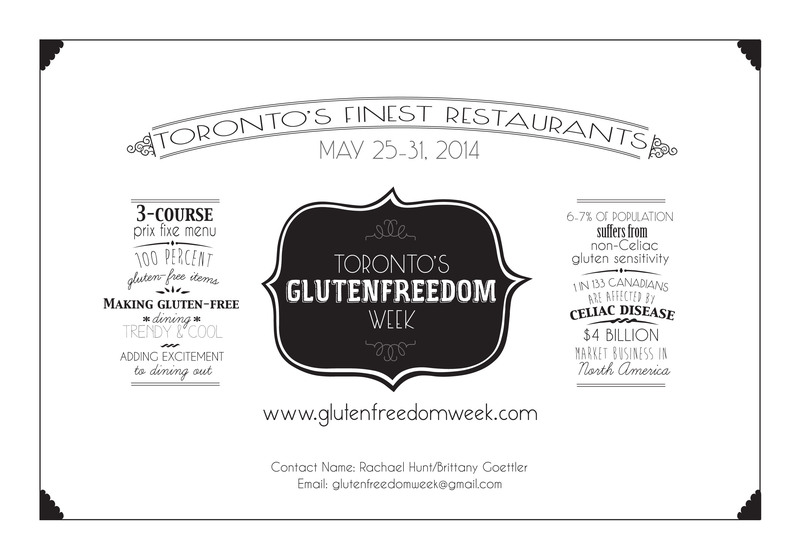 Next week marks Toronto’s very first Gluten Freedom Week. In a nutshell, GFW is Summerlicious for people who can’t (or choose not to) eat gluten. Participating restaurants will offer patrons a three-course prix fixe gluten-free menu at varying price points ($25-$45). With her event, GFW organizer Rachael Hunt, who has a gluten allergy, aims to “bring back the joy of dining out for those of us suffering from gluten in one way or another.” Hey, I’m all for that! But I had some pressing questions so I called up Rachael to find out more about this gluten-free foodie event and to get the scoop on whether it will be safe for people with celiac disease. Where did the idea for Gluten Freedom Week come from? The inspiration came out of the demand for gluten-free options within the restaurant industry and the popularity of foodie events in Toronto, like TUM, the Gourmet Food & Wine Expo, Winterlicious and Summerlicious. I was diagnosed with a serious gluten allergy a little more than two years ago, so I was no longer able to participate in those events. It put a damper on my social life. I wanted to create a food event that I could attend, so I started tinkering with the idea of creating a gluten-free version of Winter/Summerlicious. Paula Cooper from DineAware was the first person I contacted about it and she really encouraged and motivated me to go for it. How many restaurants are participating? What was the first restaurant that signed up? 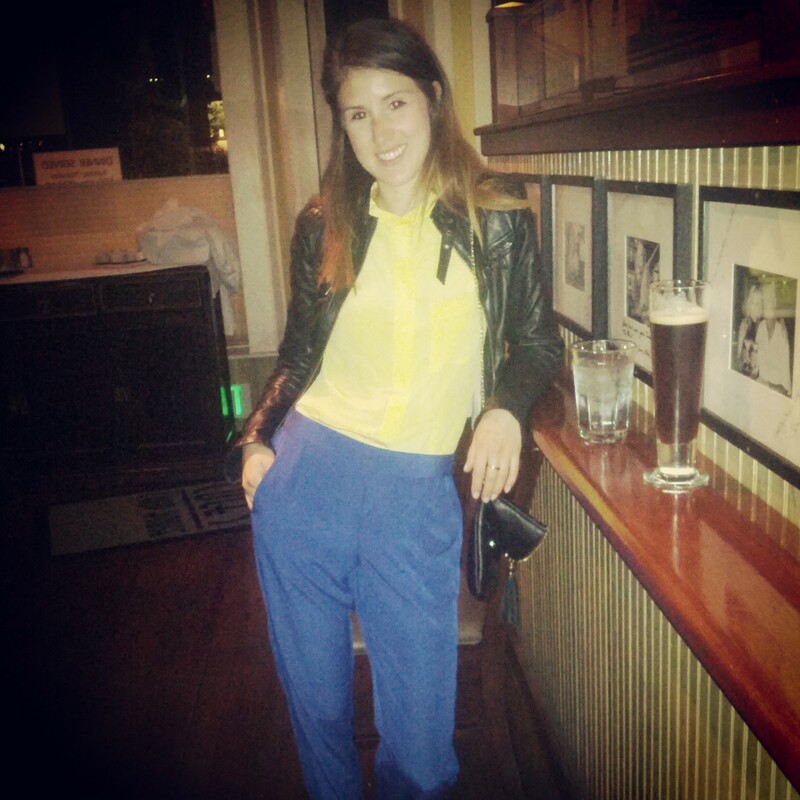 Habits Gastropub, where our launch is taking place. One of the first times I went there I had their shepherd’s pie and it was unbelievable. They regularly identify gluten-free items on their menu. How did you choose which restaurants would participate? At first I approached everyone and anyone but then I got a bit pickier and started targeting restaurants that are smaller and actually interested in reaching out to the gluten-free community. I used a lot of my own instincts, approaching restaurants that I enjoy and know have a good reputation, many of which offer gluten-free food or can accommodate a gluten-free person. I also used BlogTO and TorontoLife.com as a resource. Do these restaurants normally have gluten-free menus? A handful of them do at all times and a majority have options on their menu that are naturally gluten free or can be modified to be gluten free. In addition to offering gluten-free menu options, will the restaurants participating in GFW also be serving up food that is celiac friendly? I’ve had that question a couple times and I can’t say that any of them are necessarily celiac friendly because they don’t have dedicated kitchens, so there is that chance of cross-contamination. As part of the application process, each restaurant has had to provide a full ingredient list for their menu and communicate what exactly they will do to avoid cross-contact, like identifying the procedures that they take when preparing a meal (for example, using a separate cutting board and knife or dedicating a small section of the kitchen to preparing the food). I am encouraging guests—whether they are participating in GFW or dining out any other time—to ask questions when they call in to make their reservations so they feel satisfied enough to eat there. The thing I’m struggling with is that someone with celiac is not going to be able to dine at all the restaurants. I won’t encourage that because I don’t want anybody to be sick. At the same time, I want to encourage people with celiac to eat out. I’ve tried to convey to all the participating restaurants how serious celiac disease is. Because of our partnership with DineAware, I’m hoping that some of the restaurants will become DineAware certified for food allergy handling. I think that will be the key and hopefully for the next GFW there will be some restaurants participating that are certified. Where do you recommend I take my daughter, who has celiac? Tabule and Villa are well-recognized and trusted sources in the celiac community as being safe places to eat. I haven’t eaten at either of those restaurants yet but I’ve heard from experts in the community that they care about being celiac friendly, as does Habits Gastropub. Are the chefs and servers at the participating restaurants aware of the issue of cross-contamination and how to prevent it? I can’t speak individually for each restaurant. Most of my contacts are the chefs or managers and I’m doing my best to ensure that they are aware. I’ve been sending out emails and encouraging everyone to make sure that staff can relay to guests what they do behind closed doors. I’ve provided them with information about cross contact in writing, so there should be no excuse, but the onus is on them at this point. Any personal recommendations for GFW? I’m trying not to pick favourites, but I absolutely love Ursa. Their entire menu is gluten free and mostly dairy free as well (the chef is gluten intolerant). Basically the chef creates art on the plate. It’s very gourmet so it might not be for everyone. I’m a big fan of Playa Cabana and Playa Hacienda. Mildred’s Temple Kitchen does a fabulous job with gluten free as well. The chef was immediately interested in GFW and curious to expand his knowledge in the gluten-free cooking realm. Habits Gastropub is wholesome, home-cooked meals and they’re doing their best to cater to the gluten-free community. They also have a dedicated fryer just for gluten-free items. How can people participate in GFW? It is highly recommended to make a reservation. Certain restaurants are not going to take walk-ins for GFW, like Ursa, so you need to make a reservation. There are blurbs about each restaurant, including the menu for GFW and how to make reservations, on the GFW website. I think each guest should call in and let the restaurant know if someone in their party has celiac or any other special dietary needs. That’s a good time for guests to ask questions as well so they can feel confident going into the restaurant. I think that someone with celiac or a serious food allergy knows enough to ask those questions ahead of time. Don’t just wing it! Gluten Freedom Week founder Rachael Hunt aims to bring back the joy of dining for gluten-free peeps. Posted in Restaurants we ❤.